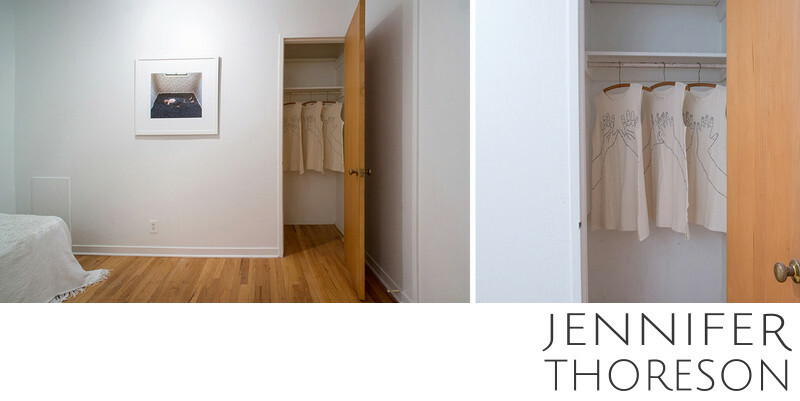 In the master bedroom closet hung three white linen tunics. Each was embroidered by my Mother, who I am very close to. Each garment exhibits the gesture of human hands during the act of prayer.